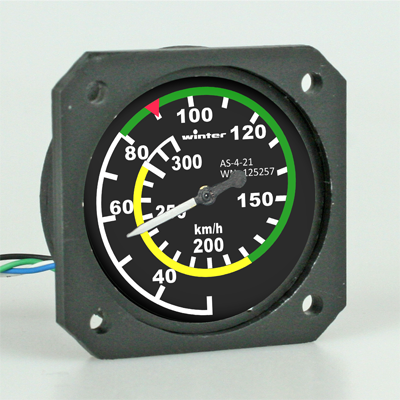 Actually a speed meter, altimeter and vario are available as fully functional instruments. A level indicator and a compass can be created on request in scale 40% and 50%. 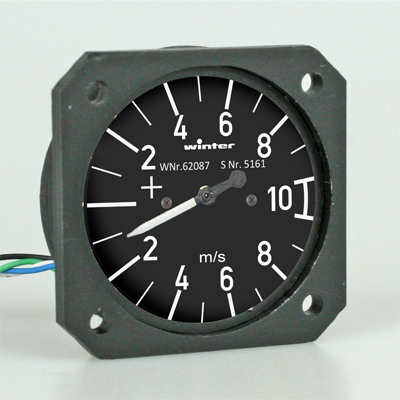 With a standard dial the altimeter displays a range from 0 m to 1000 m over a full turn. A 900 m range can be used with a pin as a calibration. If you want to fly higher you can add the “Opto module”. By this way the calibration will proceed optically and flight levels over 1000 m would be possible. 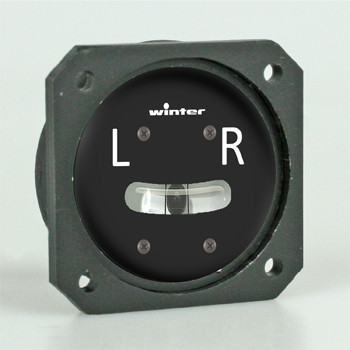 The variometer covers the range from 0 to +/- 10 m/s. The calibration is always done via a small pin as a mechanical pointer stopper. 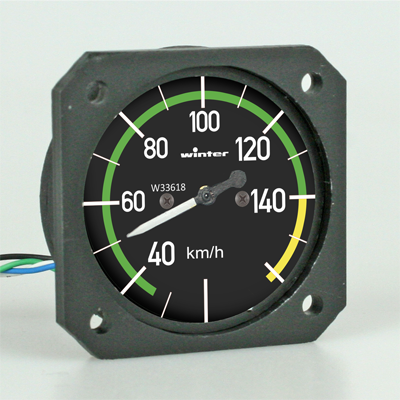 This speedmeter with a dial up to 140 km/h is designed for all large scale models to show the real speed. As usual in glider cockpits the speed is displayed in km/h instead of kn. As an alternative to the real speed there is the option to display the extrapolated scale speed. 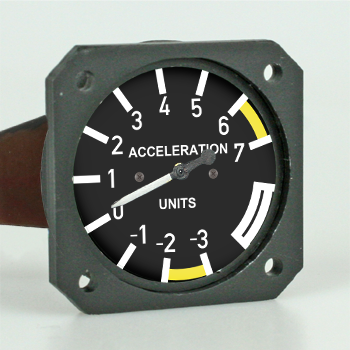 For this option this dial has a larger speed range. Because the pointer has to move one and a half turn you have to use the additional “Opto module” for calibration. 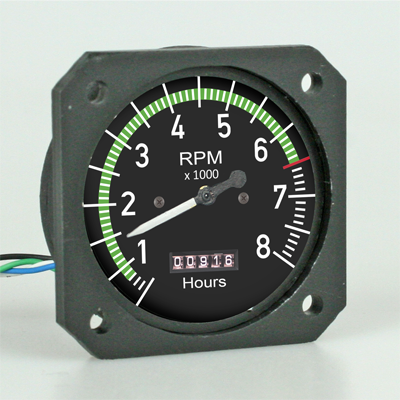 Specially designed for RC models this tachometer displays max. 8000 rpm. Flying a gas engine the rate of rotation can be taken by a hall sensor. 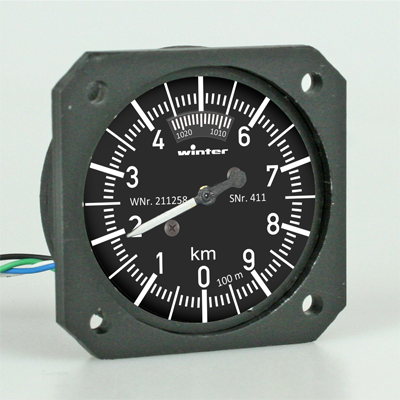 This compass is part of all Scale-Avionics scale dial prints. By this way you will have an uniform panel layout. As alternative to this dummy compass I´m able to make a functional compass on request. 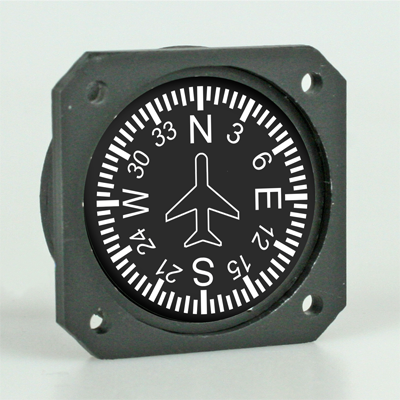 This magnetic compass is embedded in a fluid and fully functional. This compass can be made in 40% or 50% scale. You can select an top case or panel housing. The G-meter works mechanically. The displayed G rates ​​are real. 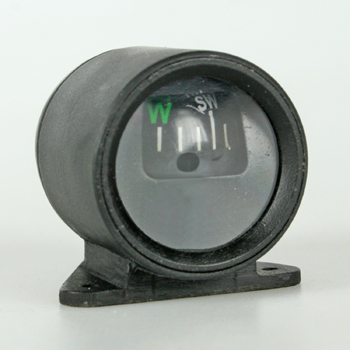 The dial range is -4 G to +7 G.
A functional instrument with tube and ball can be offered in 40% or 50% scale. The ball is embedded in a fluid. In 33% you can fit this instrument as a dummy. 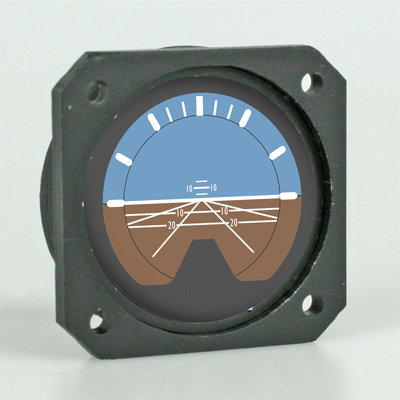 The artificial horizon completes the current supply of dials and instruments. Also designed as a dummy you can fit this one together with the functional instruments. 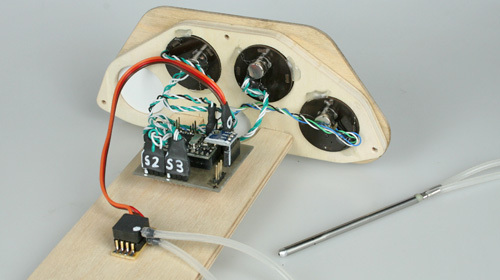 The working instruments need a electronics board, different sensors and of course the software. A view behind the panel shows the board with the sensors. Only the speed sensor has to be installed separately. Powered by a 2 s Lipo this panel is ready to fly.